Meanwhile, the AIMTC had held a nationwide Chakkajam from July 20 for eight days and the rising diesel prices was one of the prime issue. Mumbai: The All India Motor Transport Congress (AIMTC) will not stay off road during the bandh announced by Mumbai Congress over fuel price hike. The chairman of core committee of AIMTC, Bal Malkit Singh told The Asian Age that though the truckers have been facing problems due to diesel price hike but they will fight their battle independently. The Mumbai Congress, who is leading Bharat Bandh in Mumbai, had approached Mumbai Rickshaw Union at eleventh hour, hence the union has not been able to communicate to its members about the bandh. However, the union will support the bandh. Thambi Kurien, general secretary of Mumbai Auto-rickshaw Union, said “We were informed about the Bharat Bandh by Mumbai Congress president Sanjay Nirupam on Saturday due to which we were unable to communicate this message to all our members at eleventh hour, hence we don’t know whether the auto-rickshaws would ply on the roads or not. But we too have been affected by diesel price hike as the grains, vegetables and essential commodities are brought by trucks which run on diesel. Hence, we would support the bandh,” said Mr Kurien. The Mumbai Auto-rickshaw Union’s leader Shashank Rao said that as political parties have called this bandh, we as trade union would not participate in it. However, if the law and order problem crops up, the auto-rickshaw drivers would take their own calls whether to ply on the road or not. 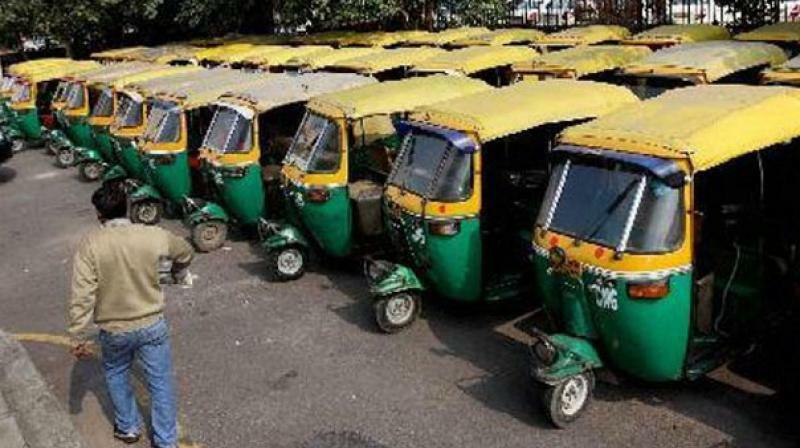 “We will try to ply all auto services like everyday, but if law and order problem arises, then each driver will take a call on it as no driver would want to damage his/her auto-rickshaw,” said Mr Rao.